Update Sept 29: Our packages from the July buy (which were ordered at the very tail end of July) are on their way from NYC to Colorado. Yay! I ordered *well* in excess of the orders we collected. 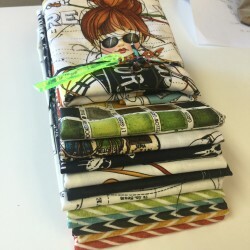 There are still some zippers available at the “group buy” prices for a few more days. The Facebook group is also the place to get your questions answered as well as get timely updates. Keep in mind, once the zippers get here, this shopping cart will be closed down and the new shopping cart will contain “in stock” zippers at slightly higher prices. We will start another buy on October 1st… but keep in mind, the entire process takes about 8 weeks for us to have our special order zippers manufactured and shipped to us. So order now if you want your zippers soon!